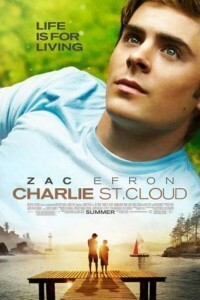 Based on the novel of the same name, the movie “Charlie St. Cloud” is a romantic drama starring Zac Efron as a young man who survives an accident that lets him see the world in a unique way. In this emotionally charged story, he begins a romantic journey in which he embraces the dark realities of the past while discovering the transformative power of love. Accomplished sailor “Charlie St. Cloud” (Zac Efron) has the adoration of mother Claire (Oscar winner Kim Basinger) and little brother Sam (Charlie Tahan), as well as a college scholarship that will lead him far from his sleepy Pacific Northwest hometown. But his bright future is cut short when a tragedy strikes and takes his dreams with it. After his high school classmate Tess (Amanda Crew) returns home unexpectedly, Charlie grows torn between honoring a promise he made four years earlier and moving forward with newfound love. And as he finds the courage to let go of the past for good, Charlie discovers the soul most worth saving is his own.The gay in real life Zac Efron tries to play it straight in a non High School Musical – and in a story reminiscent of “The Notebook.” Wild About Movies predicts that the movie “Charlie St. Cloud” will become one of the biggest bombs at the movie box office during the Summer 2010 season.